Here you have it folks. My favorite before and after shots of the week. 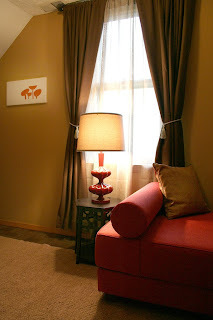 The first is a room restyle by Nicole Balch. This woman is out of control talented and I have really been enjoying her site Making it Lovely. It amazes me how much the feel of the room changes by using a few different elements. 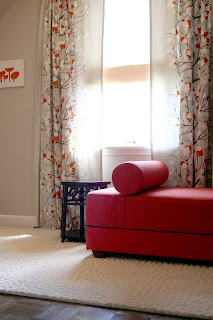 The curtains are so cool and the wall color and carpet lighten up the room like crazy. 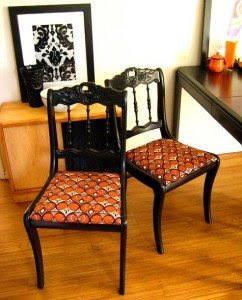 I love the look of these chairs. The spindles on the back are just the coolest. 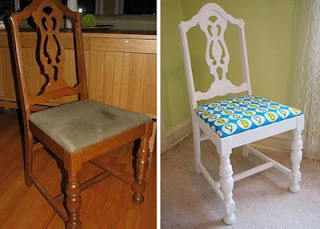 This refashion is by Leslie David of Paint Your Space. 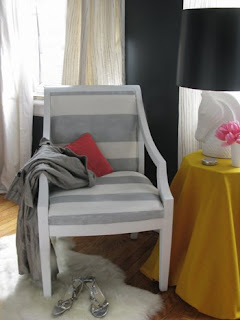 I got ahold of these pics via The Design*Sponge. This dresser is really adorable with the different shades of pink dots. I also love the scalloped bottom. 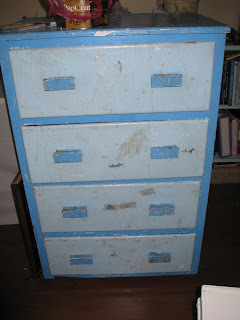 This is by Jennifer from My Painted Furniture. 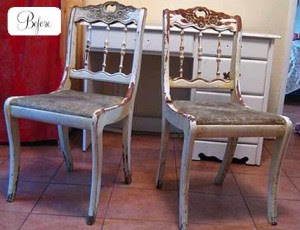 Check out this chair restyle by Eddie Ross via Casa Sugar. The fabric is actually painted. 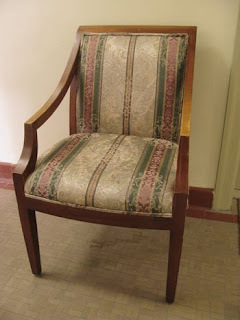 And the final piece for the day is a chair by Jessica Jones Design. 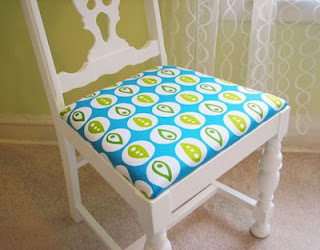 I guess I have chairs on the brain today, but how could I not with chairs as cute as this one. If you have before and after shots that you would like to have featured on Refashioned Friday just email pictures to poppyginger@gmail.com. That dresser just makes me smile. I love polka dots.